Can I bring my kids to Marriage Counseling? It is much easier to concentrate with fewer distractions. We offer multiple scheduling options (such as retreats) so you don't have to find a sitter as often. Are Kids A Distraction To Us Getting Our Relationship On Track? Can I Bring My Kids with Me to Marriage Counseling? In life kids are a huge blessing! We love our kiddos! I mean that's often times why we go to marriage counseling to begin with, right? We want to make sure our kids grow up with happy moms and dads and ultimately a happy healthy childhood. I know deep inside you want the lovely holidays and Disney World trips where you can come home refreshed. You want to come home every day from work excited to talk with your spouse about your day and the events of life. Studies show that a happy home life leads to lifelong success and the opposite is true as well...when we live with an unhappy home life our abilities are stunted. Our potential is snuffed out. Most clients find it helpful to have someone watch their little ones while they are in session. It is much easier to concentrate with fewer distractions. At our Tulsa or OKC locations, we can make exceptions for children who are not yet walking and those who are over the age of 8 and can sit still in the waiting room without supervision. We know there may be times you just can't find a sitter. 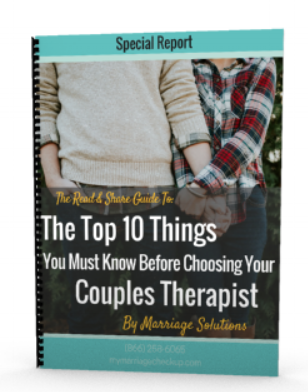 We love kiddos but couples counseling is much easier when they are not in the room with you. We've also considered having a separate room for the kiddos to play but we've found that they still come knocking on the office doors in search of mommy or daddy....so it's much more effective when someone watches them at home or daycare. Some families who have friends or family in town will have grandma or grandpa play with the little ones outside in the garden between the building. We know it can be challenging to secure a baby sitter every week for 12-15 weeks while you come to couples counseling. That is why at our two locations we offer multiple scheduling options (such as retreats) so you don't have to get off work as much or find a sitter as often. To top it off it also stops the pain in your relationship faster and allows you to have the best relationship you could ever imagine now...not months from now. Ready to Get Started? CLICK HERE to complete the online orientation. View our FAQ's and Resources page for more information. We also have a blog section that includes helpful articles.